Our eyes love streaming, scrolling, pinning, and gaming. But sometimes, like the devices that entertain them, they need a recharge. 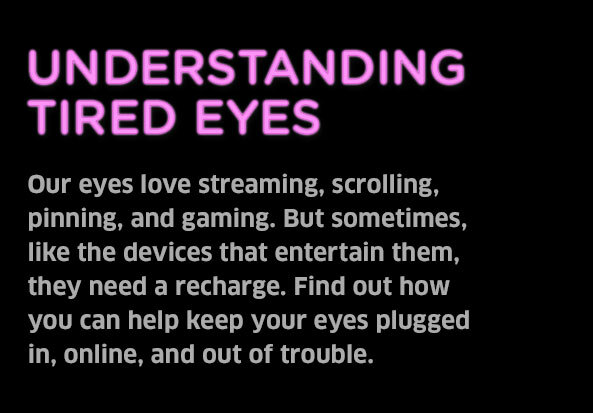 Find out how you can help keep your eyes plugged in, online, and out of trouble. take frequent viewing breaks. Try the 20-20-20 Rule. Look away from your screen every 20 minutes and stare at something 20 feet in front of you for 20 seconds.